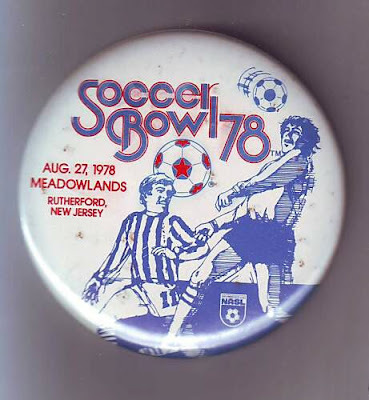 A pin back badge from the Soccer Bowl '78 game against the New York Cosmos. He was a Kalmyk Mongol not of Bulgarian descent. And to the last comment, youre correct, though my grandpa (his father) did play soccer for the bulgaria team though. I had the pleasure of playing on the same youth soccer team with Sandjes in Howell, NJ in the Farmingdale Howell Soccer League. Saran, I had the pleasure of knowing him on and off the field and he was a great player...and even greater teammate.